These staff members live in the bunk with the campers and provide minute to minute leadership and older sibling mentorship to each camper on a daily basis. Our General Counselors are in a unique position to positively impact the life of our campers by helping them create lifelong friendships and unforgettable memories. 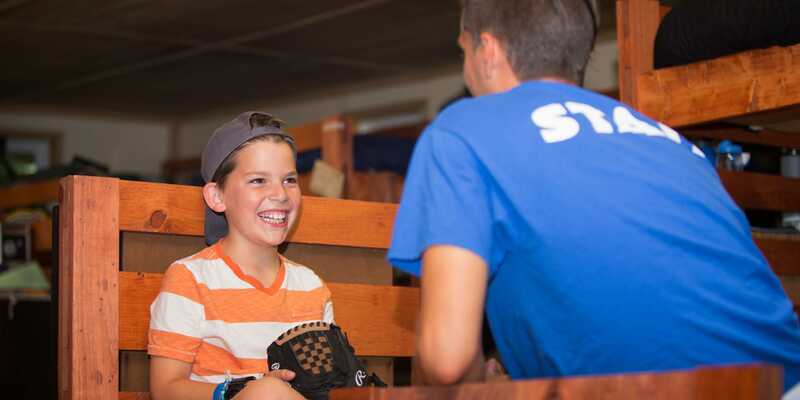 Our General Counselors create the bonds that make Camp Poyntelle a second home for both campers and staff. Each bunk includes between 1 and 3 General Counselors depending on the age group. Each General Counselor must have completed a year of college prior to the summer or have successfully completed our LIT Program. Specialists live in a bunk with campers and work at an assigned program area throughout the day. They work side by side our General Counselors and serve as big brothers/sisters to our campers. During the day, our Specialists are out and about camp, teaching and instructing. The daily program consists of 6 periods a day and instructors are expected to help provide creative, fun and interactive ways for campers to learn, grow and develop new skills. 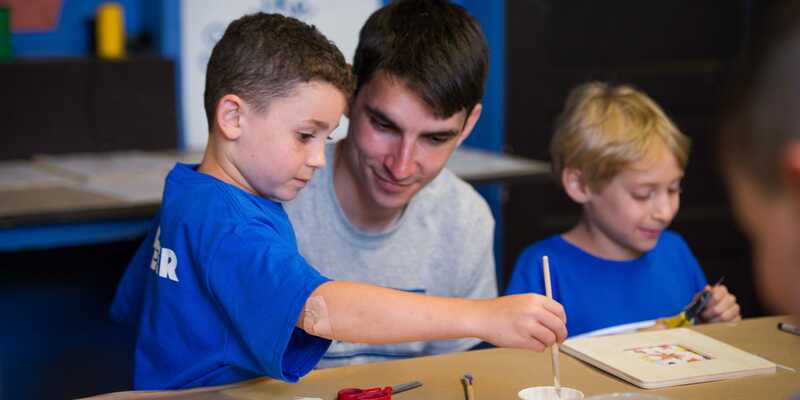 From athletes to artists, we pride ourselves on providing a nurturing environment for our campers to engage successfully on a daily basis. Our Specialists work to help campers feel good about themselves by encouraging them to try new things. Activities are age-appropriate and teach both new tangible skills as well as life-long values including teamwork, creativity, individual identity and confidence. Counselor Specialists must have significant playing and/or coaching experience in their chosen area. Each Specialist must have completed a year of college prior to the summer or have successfully completed our LIT Program. Division Heads are typically young teachers or seasoned camp veterans who are responsible for leading a division of campers and managing the college-aged staff assigned to work in their group. This role requires leadership and management experience. 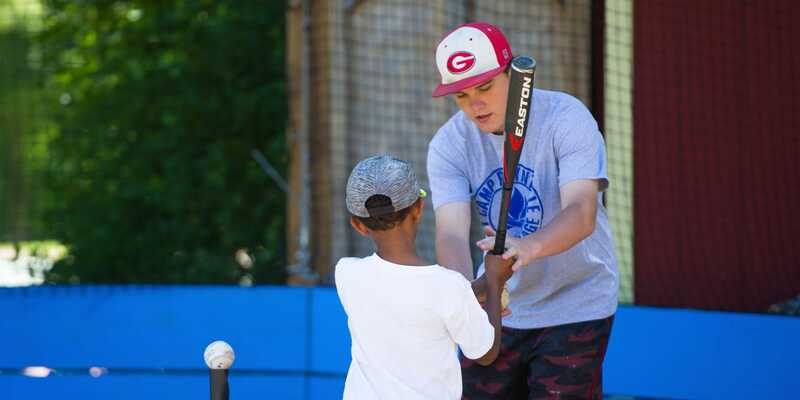 While Division Heads and Area Directors are of similar backgrounds and skills, the Division Heads are directly responsible for managing the lives of their campers and coaching their counselors through the ups and downs of the summer. Division Heads are selected based on their skills, experience and overall leadership qualities. Area Directors are responsible for overseeing a program or activity area at camp. This could include Athletic areas such as the Football or Baseball Director. It also refers to Administrative roles such as Drivers, Program Directors and Office staff. Area Directors are selected based on their ability to lead, mentor and develop our younger staff to excel. In order to be considered for an Area Director position, applicant must have relevant leadership experience, along with significant playing or instructional experience in their requested role. Furthermore, applicants must demonstrate the ability to work with and manage staff successfully. We select people from within camp or from the outside world who display the skill set and attributes this important role requires. Our Health Center Staff is comprised of 3 nurses and a doctor on site at all times. We look for compassionate, warm and nurturing medical professionals who will work tirelessly to ensure the health and well being of everyone in our camp community. Nurses typically work a half or full summer at Camp Poyntelle. Competitive pay, great benefits and a summer in the beautiful Pocono Mountains! This is the perfect job for a parent looking to provide an unforgettable experience to their child. If you are interested in joining this special group of medical professionals, please contact Corey directly at corey@poyntelle.com and she will be happy to start your camp journey!